First, to announce our winners over the weekend. Round 1, Match 2: Flicka! Round 1, Match 3: Hidalgo! I am hard-pressed to find any similarities between our two contenders today. Their names start with the same letter? They’re both sort of literary? That’s all I’ve got. 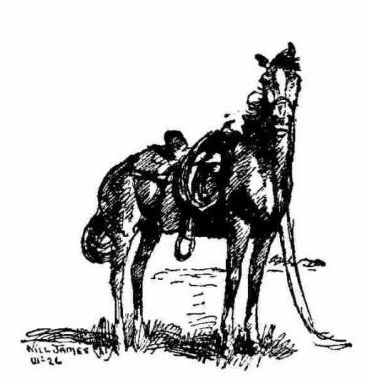 Smoky is a sort of Western Black Beauty, living the hardships of the American West through his life, passing through many hands and many circles before ending up with his beloved first owner again. 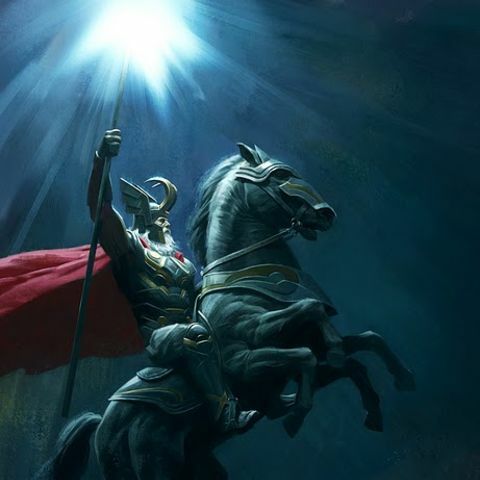 Sleipnir is an eight-legged steed sired by the magical stallion Svaoilfari on the god Loki in mare form. He’s the favored steed of Odin and is frankly kind of terrifying. The choice is pretty stark, and I’m curious to see how this one goes!